The compact easy PU modular perching stool is stylish yet comfortable and can be used in any room around the home. Option of the perching stool with arms only or arms and padded back rest. 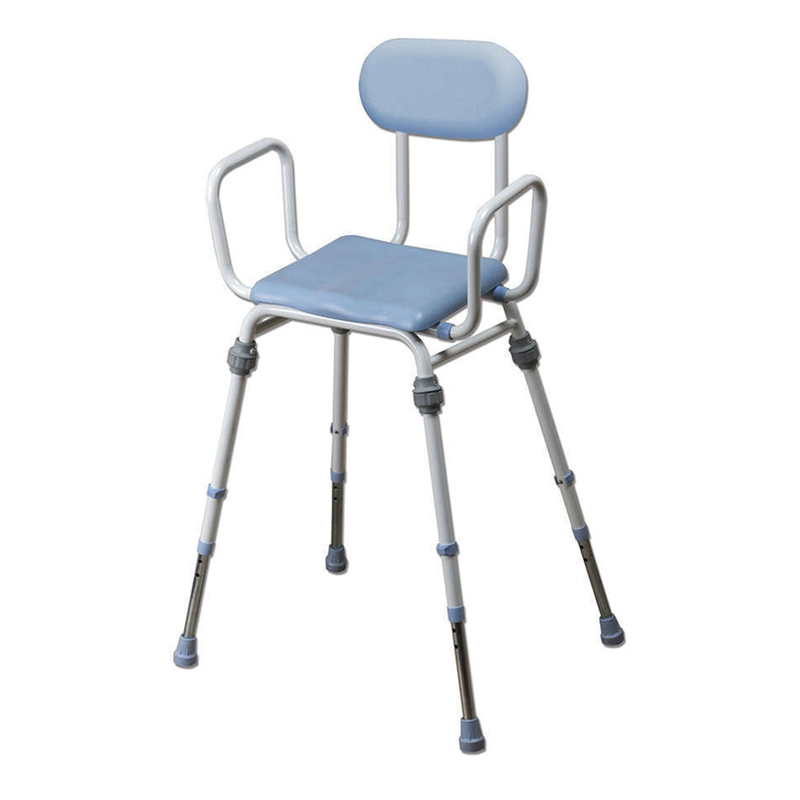 The perching stool has a blue polyurethane (PU) seat and non slip ferrule feet are fitted as standard. The perching stool can be assembled without the use of tools. The legs are twisted into position with the large,easy to grip fixings. The height is adjusted via a simple e-clip. Item is supplied boxed.